Home Closing Costs: Who Pays What? 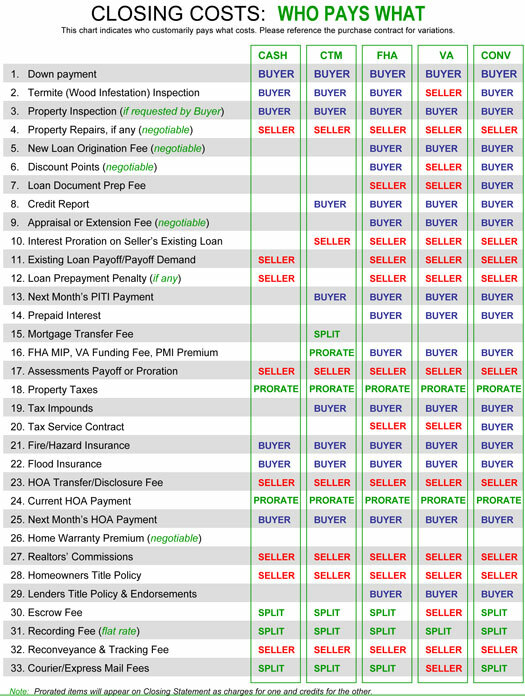 Have you ever wondered who is responsible for what when it comes to closing costs? This graph will break it all down for you. But if you still have questions, please feel free to give me a call at 928.301.0669, email me, or find me on Facebook.